November 11 is the day dedicated to S. Martinho (St. Martin), a Roman soldier who gave half of his cape to a beggar during a heavy snow storm. Impressed by this gesture, the sun came out and melted the snow. Centuries later, the star still remembers the saint’s generosity and shines with gusto to give us a taste of Summer in Autumn. The Portuguese celebrate these warm days with a feast called magusto (magoostoo). We gather outdoors to eat roasted chestnuts and drink a small glass of jeropiga, a fortified wine. It’s an ancient tradition that reminds us that there’s no place like Portugal. I’ve just stumbled upon your blog recently, as I look for an affordable place to retire in Europe. I don’t think I have ever seen so many chestnuts being roasted before I arrived in Portugal. I was in Lisbon recently and there was a fog from all the roasting chestnut vendors. What a lovely tradition and any excuse for a party! 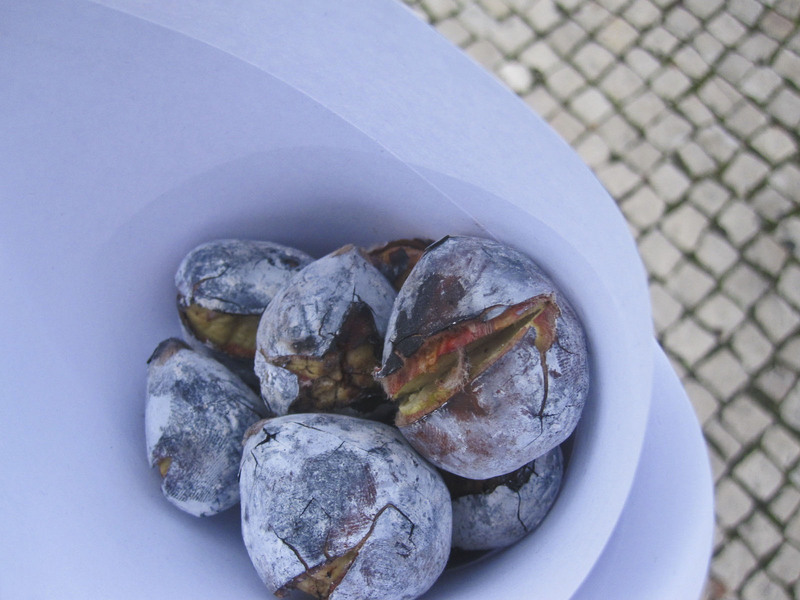 Fall in Portugal would not be the same without the aroma of roasted chestnuts in the air!